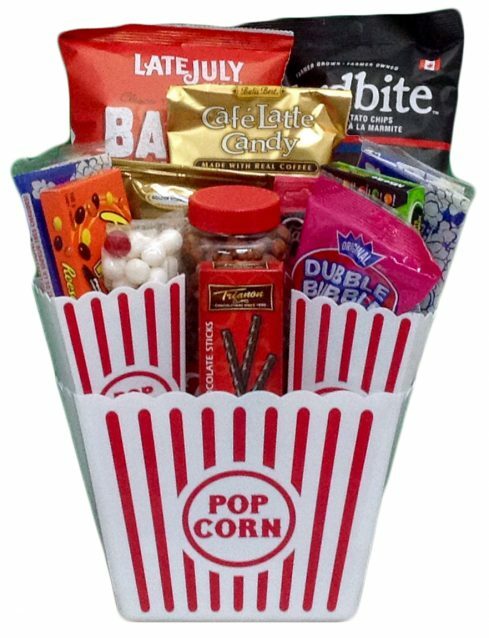 The movie night gift basket is a fun gift for the movie lover on your gift list. Chock full of popcorn, candy and movie time treats it is great for any occasion. Choose this basket for the Oscars, Emmy’s or any time of year for celebration!